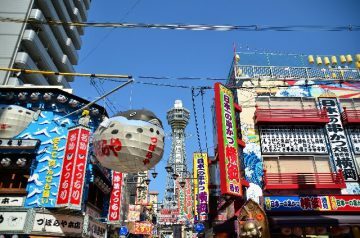 The location of our hostel is in the right middle of Namba and Shinsekai. There are 5 train stations within 10 min of walking. 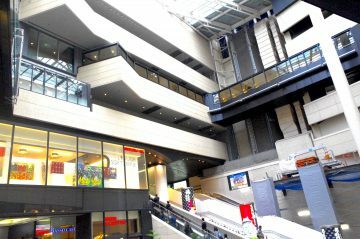 It’s very convenient location for traveling Osaka, Kyoto, Nara and Kansai international airport(KIX). 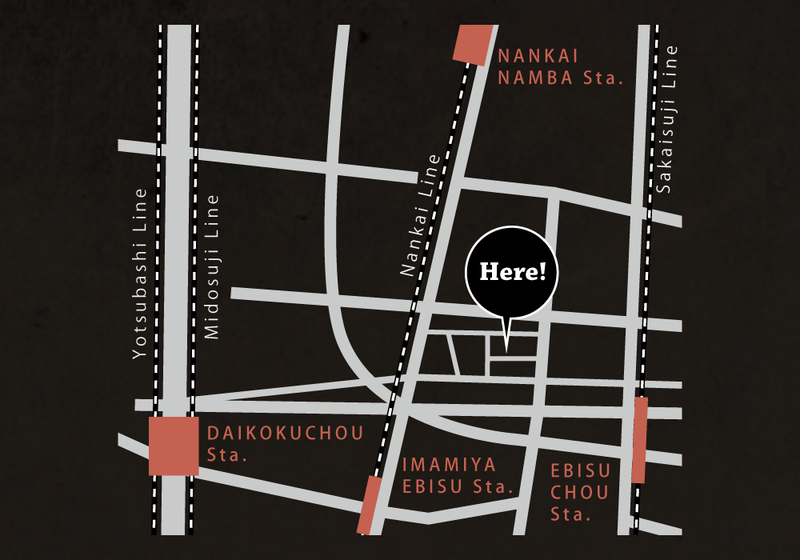 5 stations are accessible from our hostel.Closest subway station is Ebisucho, 3 min on foot. One direct train from Kansai international airport(KIX) by Nankai line.One direct train from Shin Osaka ( Shinkansen station) by Midosuji line. Click station button,you can get way to backpackers!! This is closest station from our hostel, 3 min on foot. 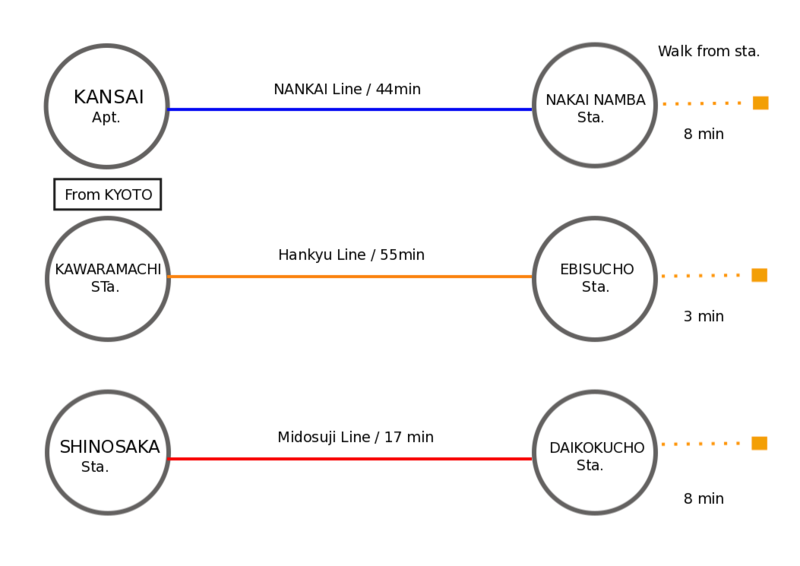 You can use Sakaisuji line and can get to Kyoto ( Kawaramachi station) easily. 8 min on foot. One direct train from Nankai Namba station to Kansai international airport(KIX).It takes 50 min. 9 min on foot. You can take Midosuji line and Yotsubashi line from Daikokucho station which you can go to Umeda and Shin osaka station directly. If you come by Shinkansen please take Midosuji line. 12 min on foot. JR Shin imamiya station. If you have JR pass, this station is most convenient station to use. You can also go to Nara from this station by JR.
5 min on foot. Imamiya Ebisu station is Nankai line. You can use this station to get to Koyasan or Kansai international Airport. There are more train from Nankai Namba to the airport, so if you go to the airport we recommend to take train from Nankai Namba. 3 min on foot. 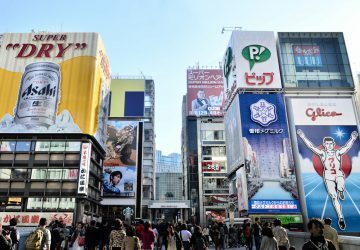 Famous for electronics and Otaku shops( Nerd or Geek). It’s very unique area. 3 min on foot. 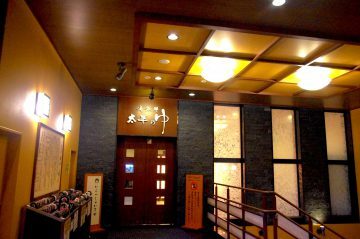 There are fresh vegetable and seafood at Kizu market and there is nice Onsen on the second floor of the market. 3 min on foot. 800 yen for adult. Open 8am to 1am. 7 min on foot. They are famouns for Kushikatsu. Some of the restaurants are open 24 hours so you can go anytime for eat and drink. 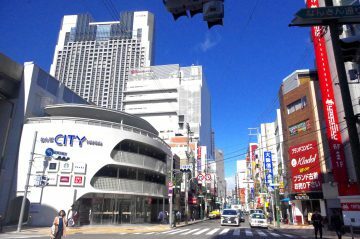 The are of east side of Nankai namba station is called ” Ura- Namba” . 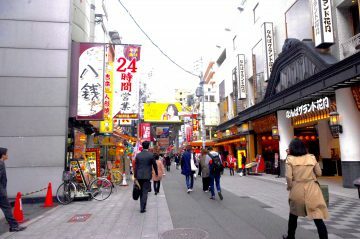 This area has many variety of restaurants and bars. 8 min on foot. Direct train from Kansai international airport(KIX) There are many kinds of restaraunts around. 11 min on foot. 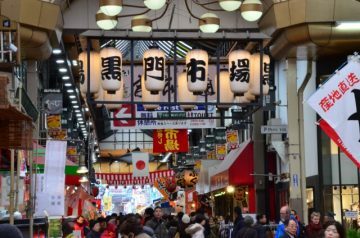 There are many variety of shops and restaurant in Sennichimae shopping arcade. Recommended for having lunch and shopping. 13 min on foot. 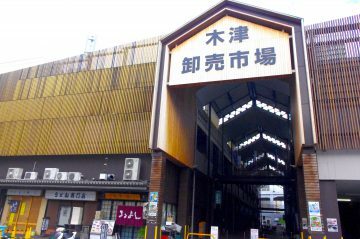 There are 180 shops and restaurant in Kuromon markets. They open from 9am to 6pm. 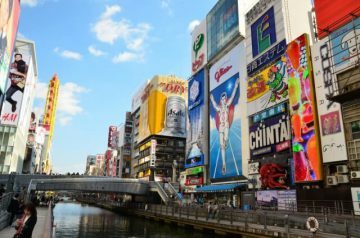 16 min on foot.Dotonbori is one of the most popular spot in Osaka that known for gliko sign and unique restaurants signboard.You can’t miss this place! !